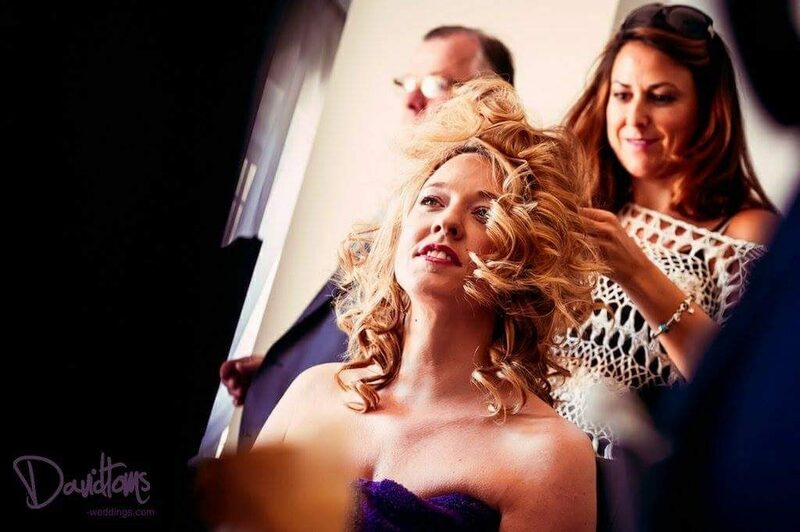 In Part One we met Maite from Glamorous Hair Marbella who told us about how she got into wedding hairdressing in Spain. Today she shares her advice on how to wear your hair in the Spanish heat and why styling famous people is no different to your every day bride. Hello again Maite. As a much-loved wedding hairdresser in Spain – do you think brides should worry about choosing their hairstyles to suit the Spanish heat? To be honest brides shouldn’t worry about the heat. 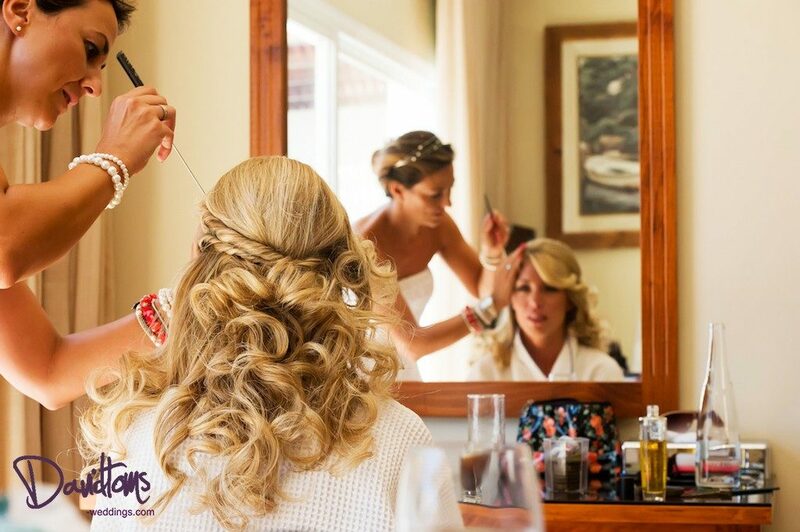 Most brides choose hair up which is very stylish and elegant, and can be done to suit either a fancy formal wedding or a more laid back rustic celebration. Lots of people forget about their bridesmaids’ hair when planning their own. So what styles do you think work best for bridesmaids? Well that really depends on the wedding theme and the length of their hair, but I always recommend that the bridesmaids all have a similar style to each other so that the bride stands out. In June 2000 I was invited to go to Oslo, Norway, to style the hair of Amee, a regular client from London, for her wedding day. I flew from London to Norway and when I got there I realised that I was also personally invited to the wedding party and ceremony. Then I discovered that I was seated at the table beside Princess Mette Marit and Queen Sonia from Norway, who is actually my client’s godmother and a close friend of the family! As I didn’t really know how important my client was I found myself wearing the wrong dress for the wedding – it was a white tie and ball gown dress code and I turned up wearing a short dress! Which famous person’s hair do you wish you had styled for their big day? I have styled many celebrities in the past, both at weddings and in salons, so for me it’s not important if the bride is famous or not. They are all beautiful and just as important as one another. And lastly… If you weren’t a hairdresser, what would be your dream job? Well Maite, you are most certainly a star in our eyes!